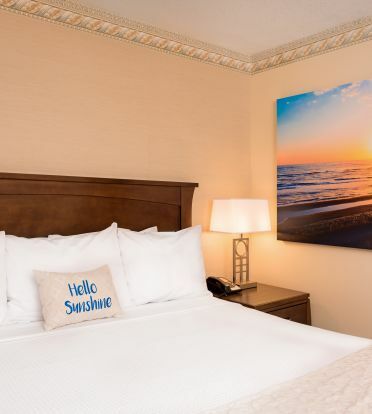 Located in the Sunset Wing adjacent to our pool, our accessible king rooms are perfect for those seeking extra space. 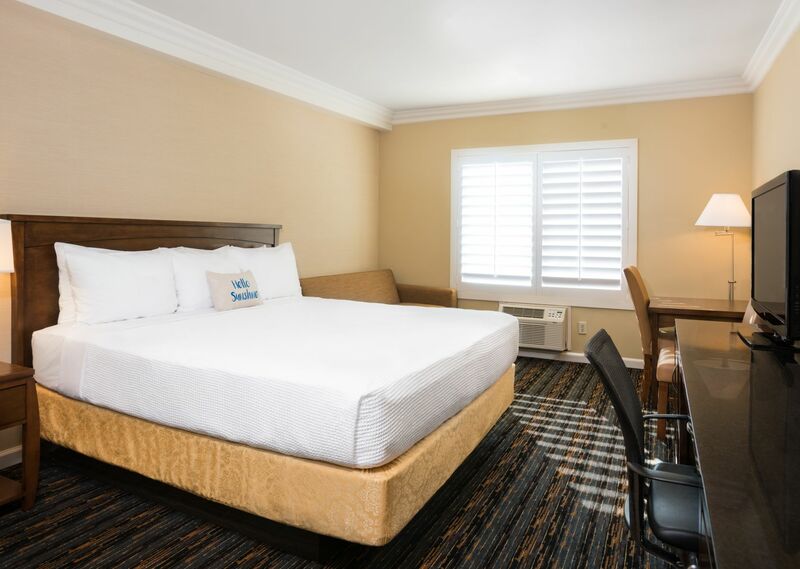 Fitted with one king bed, an oversized work desk, all of our standard amenities, and modern décor, you can rest peacefully. 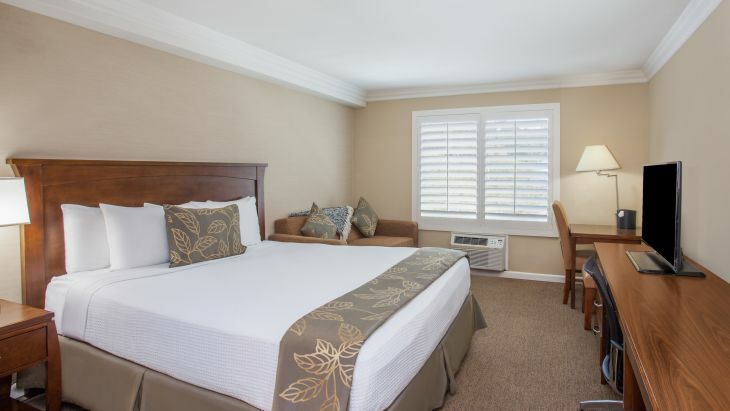 This guest room offers an accessible bathroom equipped with adjustable showerhead, grab bars, lowered toilet and counter.